It has been a while since Nokia phones have made a clear statement compared with other phones released within the same period of time. The eventual pairing with the Android operating system was a big leap towards playing on the bug stage. Being a significant phone giant in the 2000s, many felt it was only a matter of time before they caught up to the supposed trendy phones. If you have kept up with phones released lately you would love the features of the Nokia 8.1. The new device comes with a 6.18-inch touchscreen display with a resolution of 1080 pixels by 2244 pixels. The phone is runs on a 2.2GHz octa-core processor and has 64GB of internal storage that can be expanded up to 400GB with an SD card. The Nokia 8.1 packs on 4GB of RAM. The cameras are also solid with a 12-megapixel (f/1.8, 1.4-micron) primary camera and a 13-megapixel secondary camera on the rear. it also features 20-megapixel front shooter for selfies. 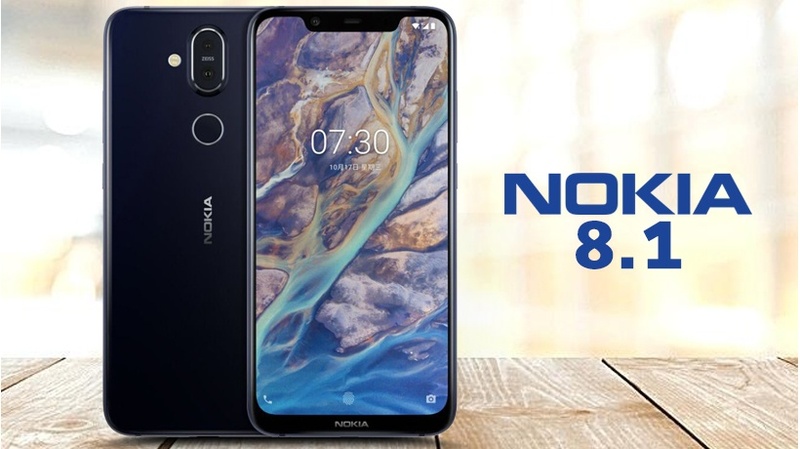 The Nokia 8.1 uses Android 9.0 Pie and is powered by a 3500mAh non removable battery.